Even if you are never going to visit Chalchitra, take time off to check out its superb retro façade from the outside. Wait for the sun to set, and look at the lights as they twinkle. Everything – the lettering, the colours and the movement of the lights – call to mind the 1960s. As you walk up the red carpet to the first floor, you hear strains of Hindi film music. It is the leitmotif of the restaurant, a witty take on our cinema industry. The only music in the restaurant is Bollywood; the menu alludes to filmi names and scenes and there are books on popular Hindi cinema for reading. 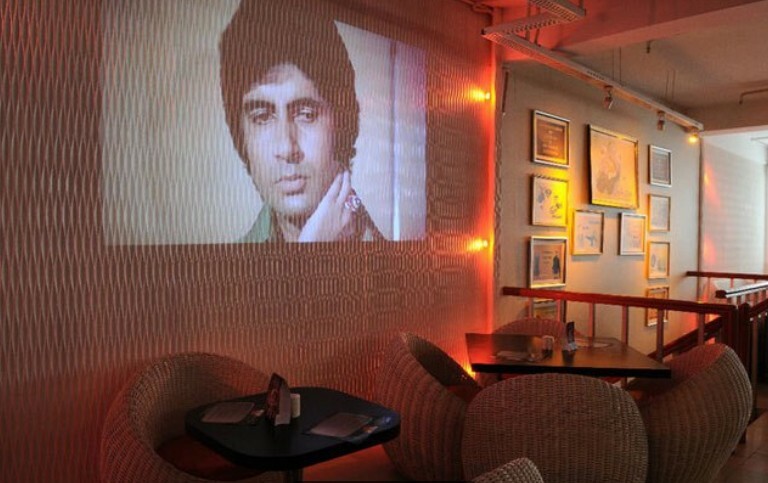 It is perhaps because Bollywood is headquartered in Mumbai, that much of the menu is Mumbai-inspired. Ragda pattice sandwich, frankies, pav bhaji and chutney club sandwich. However, it is not all sandwiches: there are soups (Mulligatawny, Baked Onion and Paya) salads (mostly of the chatpata desi kind) and starters, and though the vast majority of them are the kind that you’d expect outside a movie theatre, there are a couple of western offerings too. I tried the Murgh Salli Chaat (Rs 165) that turned out to be succulent batons of roast chicken, onion, mint and coriander napped in a chaat masala that is obviously made in-house. 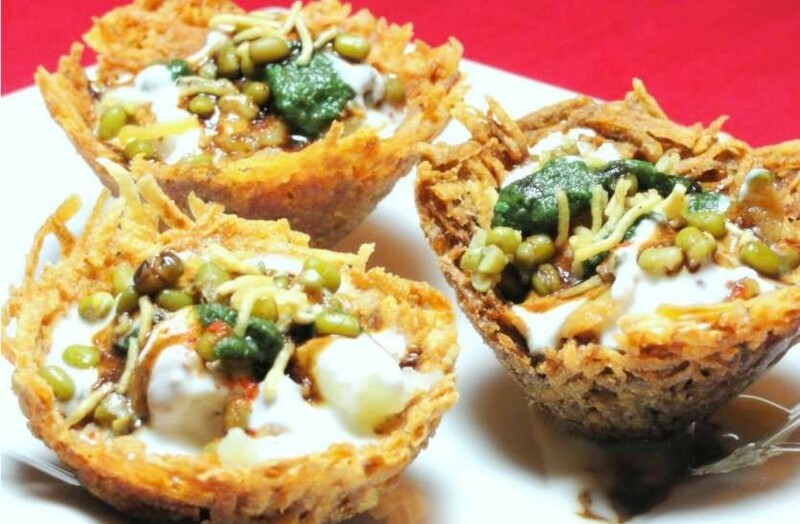 The salad was served in a basket fashioned out of aloo lachcha. Simple and effective, it’s one of those creations that makes you wonder why nobody thought of it before. All the starters are served with French fries dusted with the same chaat masala that is made in-house, and a “basket” of papad with chopped papad and peanuts napped in spices that are irresistible. This is one restaurant where the accompaniments on the plate are too good to be true. 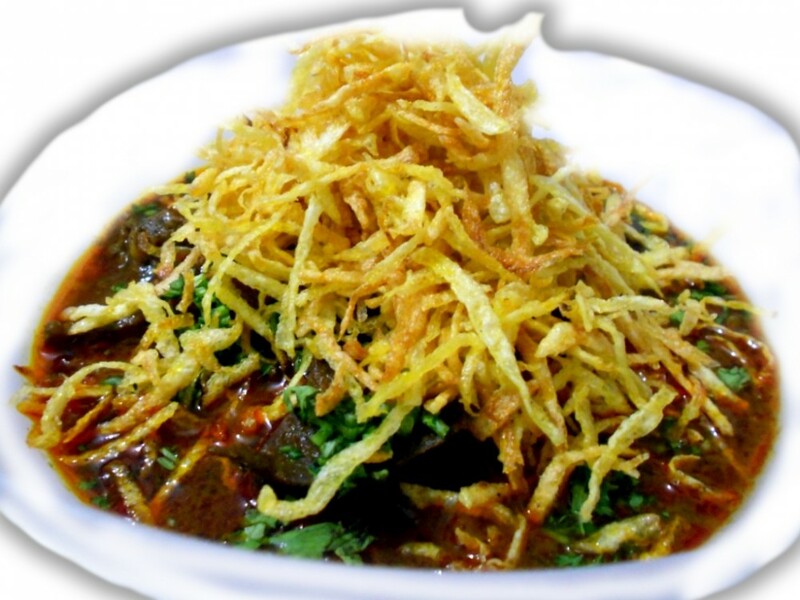 They are served whether you order the unmissable Shikampuri Kebab (Rs 250/125) or any other item on the starters menu. In fact, so good are the starters that it is not a bad idea at all to make a complete meal of them. The Shikampuri Kebab (6 pieces in a full plate; 3 in a half plate) consists of extremely finely ground lamb with a centre made of hung curd. 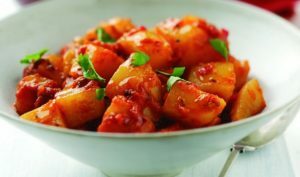 It is easy for a restaurant to get the non-vegetarian element of the menu right; it’s much more challenging to please vegetarians. Chalchitra’s Gongura Charra Aloo (Rs 175/89) is a delicious, tangy, herby concoction of tiny potatoes left whole and napped in what appears to be gongura pickle. I can’t imagine a more funky bar snack than these little devils. Prawn Koliwada (Rs 350/175) is supremely tasty: it just requires a bit of tweaking to make the texture of the batter more interesting. Right now, it is soft and spongy, but the kari patta and mustard seeds ground into it are redolent with flavour. It’s a fight for the best main course, but I’d say Khichda (Rs 275 for non-vegetarian; Rs 225 for vegetarian) wins for sheer appeal. The nicest part about Chalchitra is the fact that it is not pretentious. The seating is of the cane chair variety, service is casual, the jokes on the menu really are hilarious, the food is great and the prices are low. Too good to be true? We’ll know in six month’s time if the quality goes south and the prices north.